On November 1, five students including Angie Aldredge, Sydney Branch, Colby Brandt, Liam McDermott, and Alyssa Pennington were inducted into Belmont’s Xi Alpha Chapter of Phi Alpha Theta, the National History Honor Society. 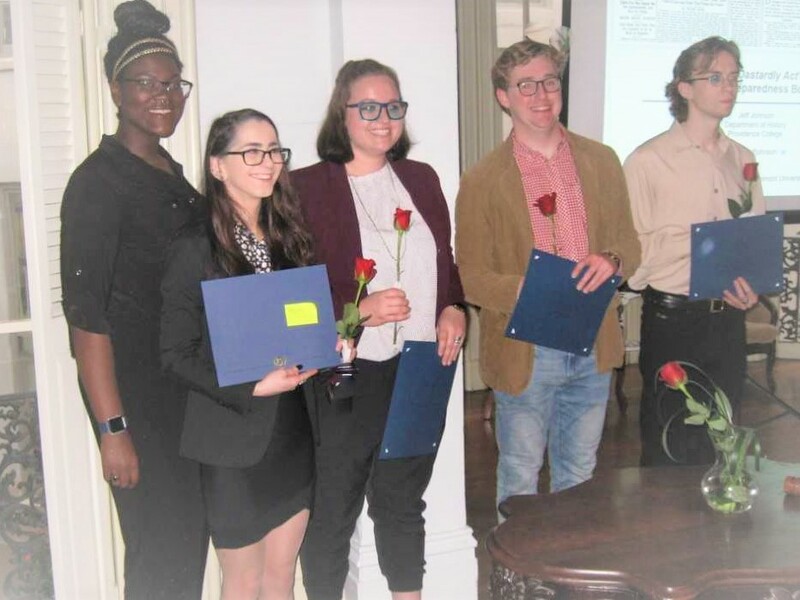 The ceremony, held in Belmont Mansion, was attended by faculty from the History Department, including the chapter’s faculty advisor, Dr. Cynthia Bisson, along with family and friends of the inductees. The annual Phi Alpha Theta lecture followed the induction ceremony and was given by guest speaker Dr. Jeff Johnson, director of the Graduate History Program at Providence College. Johnson’s topic was the 1916 Preparedness Day Bombing in San Francisco.